Highly scalable, with uncompromising agility, Voracio is built for serious retailers. Voracio provide an individual, leader in class, highly tailorable Hybrid SaaS eCommerce Platform, aligned with the support and services you’d expect from an accomplished full-service digital agency. 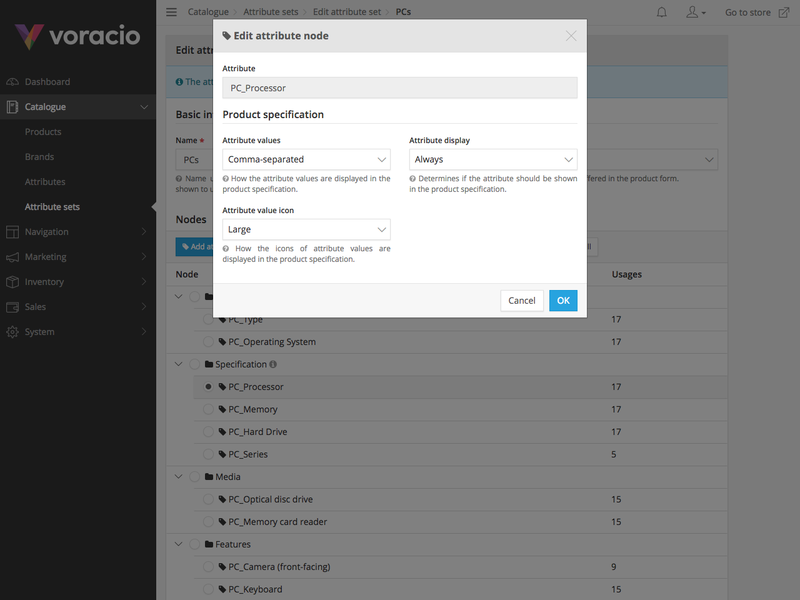 Voracio empowers you with unrivalled control over your product catalogue. Our truly innovative attributes architecture sits at the heart of the Voracio platform. We’ve created stunning features that will set your site way ahead of the competition. Gain unrivalled control over your attribute sets by easily building a tree like structured set. 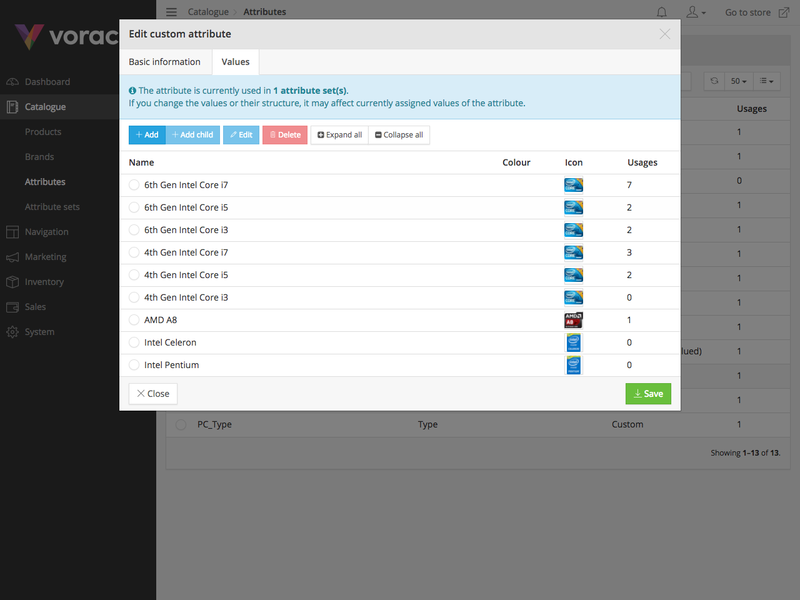 The grab, drag and drop interface makes creating structured sets a breeze. Easily position and re-position attribute nodes. No more painful and time consuming repositioning like other platforms. Work with speed and accuracy. 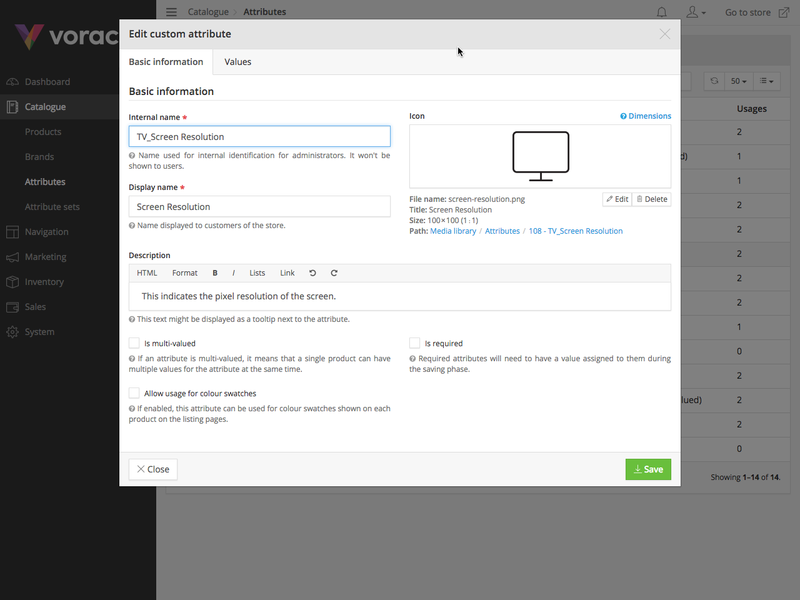 Enhance your sites user experience by assigning images/icons to your attributes and attribute values. Provide an informative user experience by adding explanatory content against attributes and values in the form of a rich tooltip. 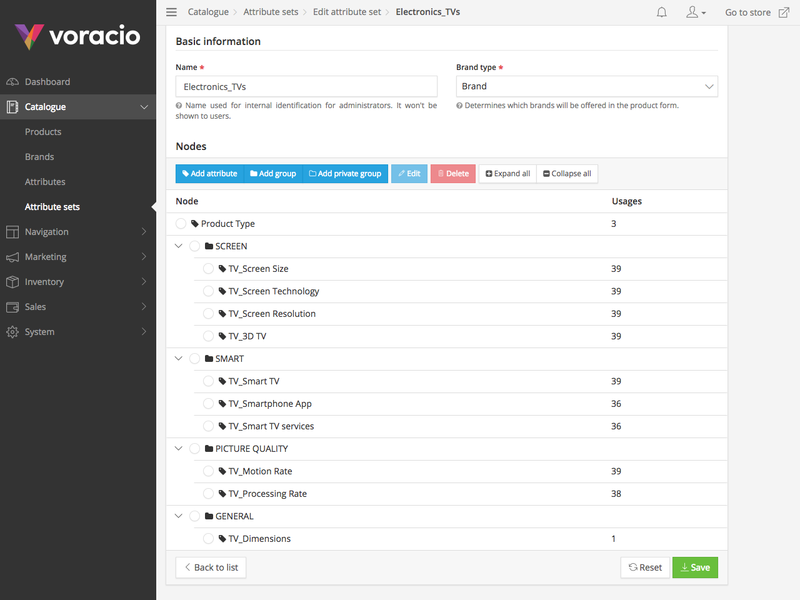 Alongside the usual publicly viewable attributes, Voracio allows you to provide extra attribute information thats only accessible to you as the site administrator. Easily place similar colours into groups, create custom colours for specific products. 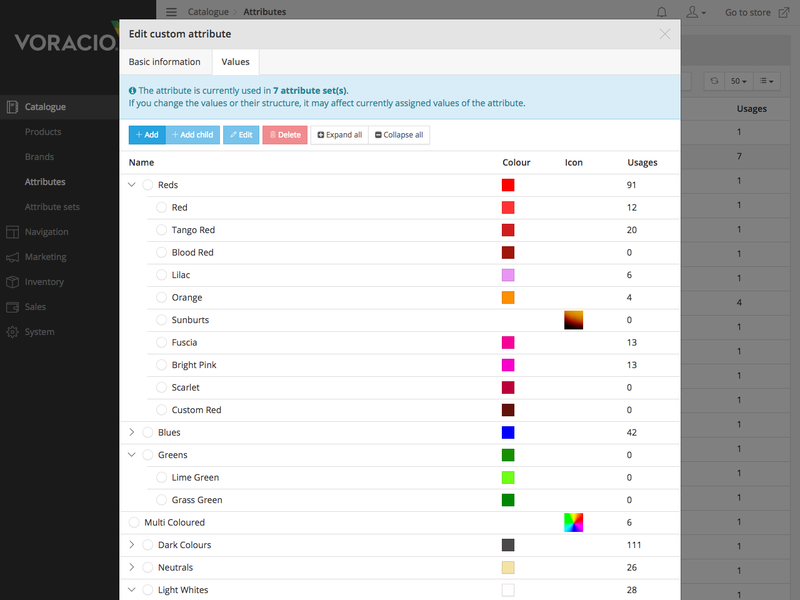 Assign swatches against colours and much more. Voracio is a cloud SaaS eCommerce platform built upon a cutting edge technology stack, powered by Microsoft .NET, built for scalability and performance on the Microsoft Azure cloud framework. Voracio has been developed from the ground up, using knowledge, feedback and experience gained over the past 20 years, resulting in leader in class, highly tailorable platform. Embracing co-creation, our clients work directly with our platform architects. We opt for a limited client base which for you means maximum focus. Your products and editorial content will heavily utilize attributes, from listing pages, product specifications, product filtering (faceted search), product options, landing pages to editorial tagging and much more. Voracio boasts an unrivalled user interface allowing you to easily structure highly informative attribute sets. Attributes are extremely important, especially for the tech savvy user. Thats why plain text just doesn’t cut the mustard. Voracio lets you easily upload icons or photos against any attribute or attribute value, along with html content for use with a rich tooltip. This advanced feature is unique to the Voracio Platform, call us on 01484 304545 and we'll be happy to demonstrate in detail. Our cutting edge hosting environment can shrink and stretch to accommodate demand peaks. We combine the performance of world-class supercomputing with the scalability of the cloud. Whether you’re a start up retailer or an established high street retailer, we can build and deploy your highly available, infinitely scalable eCommerce application. Never standing still, Voracio is continually developed to increasingly harness the power of the cloud. 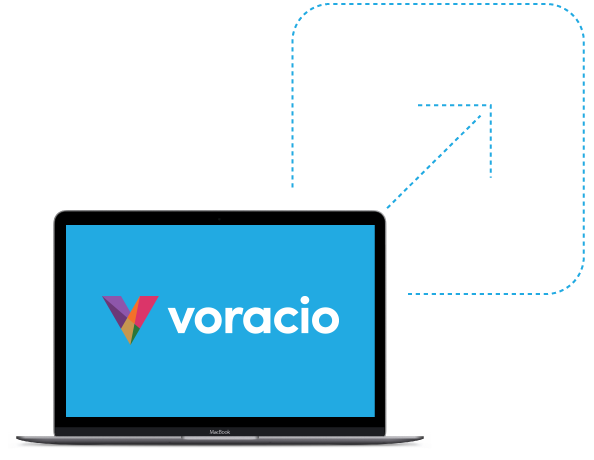 Voracio has been built from the ground up, embracing an all new modern technology stack. At the core sits ASP.NET MVC 5 with Entity Framework 6, alongside an abundance of modern code libraries. Its front end features the Bootstrap 4 responsive framework, built in JS and CSS minification, alongside innovative compression and caching, plus it runs on new generation HTTP2. All this ensures maximum performance and scalability. 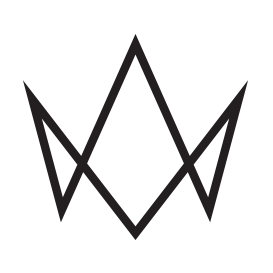 "The attention to detail in the Voracio Platform is truly outstanding. The capabilities Voracio gives us, we know will propel us way beyond our competition." Voracio provide serious retailers with an individual, leader in class, highly tailorable eCommerce platform, aligned with the support and services you’d expect from an accomplished full-service digital agency. Unlike most eCommerce agencies, we don’t rely upon a third party platform to facilitate our clients with eCommerce. We are the architects of our own innovative platform, built upon a cutting edge, scalable technology stack. This means we can adapt to clients individual needs and deliver compelling and reliable digital experiences. With such in-house technical expertise, we eliminate the requirement for many third party eCommerce add on services. This combined with our agile development practices and streamlined technology provides our clients with a far more cost effective online strategy. Voracio is our design, our architecture, our engine, our passion, coupled with our agency services, we build long lasting relationships with visionary retailers.